Fill out a quick and easy form to start receiving FREE property alerts based on your individual needs. Click here to request a FREE no obligation market analysis on your home! 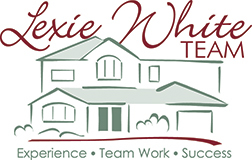 With a combined 20 years of experience, The Lexie White Team offers complete services for Buyers and Sellers. If you’ve thought about buying or selling real estate, please contact us. We would love to visit with you for a no obligation and no pressure Free consultation. Lexie White has been a successful Realtor for 18 years. The Lexie White Team is a top producer for Home Smart Realty Group and is a multi-year 5280 Magazine award winner of the Five Star Real Estate Agent for 7+ years. The Lexie White Team offers complete services for Buyers and Sellers and excels in negotiating the best possible price for clients! We care about educating clients throughout the entire process and we deliver top-notch service to create the best possible experience! Are you prepared for a successful real estate transaction? This is our full-time business and we can help! My website is free for you to use so log in at any time! Please feel free to contact us if you have any questions!